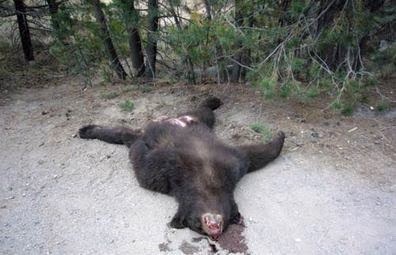 Following a five month investigation, California Department of Fish and Wildlife officers have formally asked the Nevada County District Attorney’s Office to file felony and misdemeanor charges against suspected bear poachers Jason Scott Wilkison, 43, of Grass Valley and Chris Art Nunley, 54, of North San Juan for crimes related to alleged bear poaching in April 2013. Both men have been charged with the unlawful possession of bear. Additional charges of unlawfully killing a bear were filed against Wilkison. Both individuals also face felony charges involving the unlawful possession of firearms and ammunition. Lead investigator, Warden Jerry Karnow, launched the investigation when he received reports of a bear that had been unlawfully shot after being lured with bait to a residence located near Grizzly Flats in Nevada County. Wildlife officers, assisted by Nevada County Sheriff’s deputies, served a series of search warrants where bear remains were found in a shallow grave near Wilkison’s residence. Additional bear remains were located at Nunley’s residence. The CDFW Forensic Laboratory was involved in an analysis of the blood and bear remains, which CDFW believes will support the case. The recovery of firearms, ammunition and evidence throughout the investigation indicate Wilkison and Nunley, who are convicted felons, unlawfully possessed firearms and ammunition. 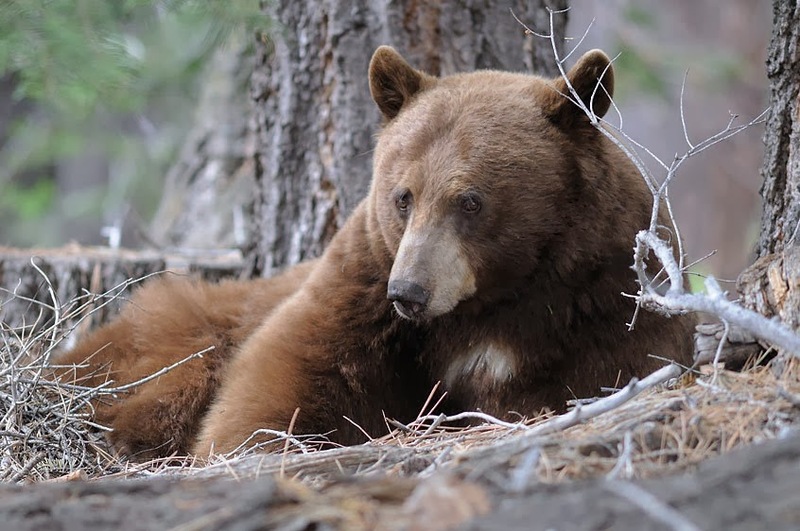 CDFW data indicates California’s bear population has increased in recent years. Black bears are being observed in areas where they were not seen 50 years ago along the Central Coast and Transverse mountain ranges of Southern California. Between 25,000 and 30,000 black bears are now estimated to occupy 52,000 square miles in California. That means the public is more likely than ever to see or know about poaching, which experts say seems to increase during tough economic times. CalTIP (Californians Turn In Poachers and Polluters) is a confidential secret witness program that encourages the public to provide Fish and Wildlife with factual information leading to the arrest of poachers and polluters. CalTIP was introduced in California in 1981 in order to give Californians an opportunity to help protect the state’s fish and wildlife resources. The toll free telephone number operates 24 hours a day, 7 days a week. You do not have to give your name.